CTC Derby and Burton Cycling Club is made up of two groups who both organise their own ride programs. 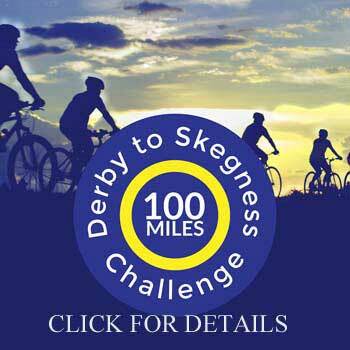 From Derby there are Sunday and Thursday rides throughout the year and a Tuesday evening ride in the Summer months. From Burton a Sunday ride throughout the year and occasional other rides. Some rides and events are jointly run and we organise some tours and weekends away. We are a member group of Cycling UK which evolved from The Cyclist’ Touring Club and although some of the aims and objectives have changed over the decades, the purpose of the rides remains the same – simply to ride somewhere interesting, on pleasant routes, in good company, with a cafe stop or two. Distances vary from 20 mile winter and evening rides, to long Summer ones that can last all day, though riders are always welcome to come for part of the ride. Speeds also vary depending on several factors, to give some idea the riding average is usually between 10 – 14 mph, the rides are social and keep together whatever the speed. Most rides are on road or well surfaced tracks, those that aren’t will say so in the program. Our members ride a wide variety of bikes, if it’s comfortable and roadworthy, it’s suitable for our rides. 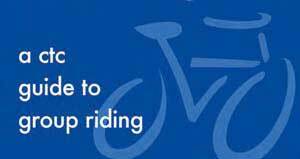 As part of Cycling UK, all members are welcome on any of our rides. None members are also very welcome to come along on a few rides to see if they’d like to join. CTC Burton rides start from Abbey Arcade by Market Place, High Street, Burton upon Trent, unless otherwise stated. CTC Derby’s Sunday rides leave from outside the Quad in the Market Place unless otherwise stated. During the Summer months CTC Derby’s Thursday rides meet at a cafe on the outskirts of Derby. The rides either have a predetermined destination or are informal where the route is discussed and agreed at the meeting point. The 2019 series of weekly Summer evening rides from Derby starts on the 16th April. For those who haven’t joined us before a quick recap – 12 – 20 miles at an easy pace, no cafe stop but plenty of chances to catch your breath or enjoy the scenery. This year we’re starting at the slightly earlier time of 6.30 and we’ll try and leave promptly to make the most of the daylight. Setting off from the Quad unless otherwise stated, route and details on here and Facebook a few days before. All welcome. A new series of twice monthly leisure rides. These will be at slow pace with plenty of stops to view or visit places of interest with distances of 25 to 35 miles. Destinations and lunch venues will be decided the week before and details posted on Facebook. Coming soon – After an absence over the last couple of years Burton’s evening pub rides will be restarting shortly.